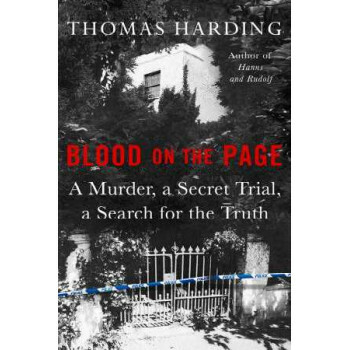 A groundbreaking examination of a terrifying murder and its aftermath by the bestselling author of Hanns and Rudolf and The House by the Lake.In June 2006, police were called to number 9 Downshire Hill in Hampstead to investigate reports of unusual card activity. The owner of the house, Allan Chappelow, was an award-winning photographer and biographer, an expert on George Bernard Shaw, and a notorious recluse, who had not been seen for several weeks. Inside they found piles of rubbish, trees growing through the floor, and, in what was once the living room, the body of Chappelow, battered to death, and buried under four-feet of page proofs.The man eventually convicted of his murder was a Chinese dissident named Wang Yam- the grandson of one of Mao's closest aides, and a key negotiator in the Tiananmen Square protests. His trial was the first in the UK to be held 'in camera'- behind closed doors, and without access to the press or public. Yam has always protested his innocence - admitting to the card fraud, but claiming no knowledge of the murder. Thomas has spent the past three months investigating the case and has unearthed some revelatory material. It's a story that has been described in the press and by the leading detective (now retired) as the 'greatest whodunnit' of recent years- an extraordinary tale of isolation, deception, espionage and brutal violence, stretching from the quiet streets of north London to the Palace of Westminster and beyond.